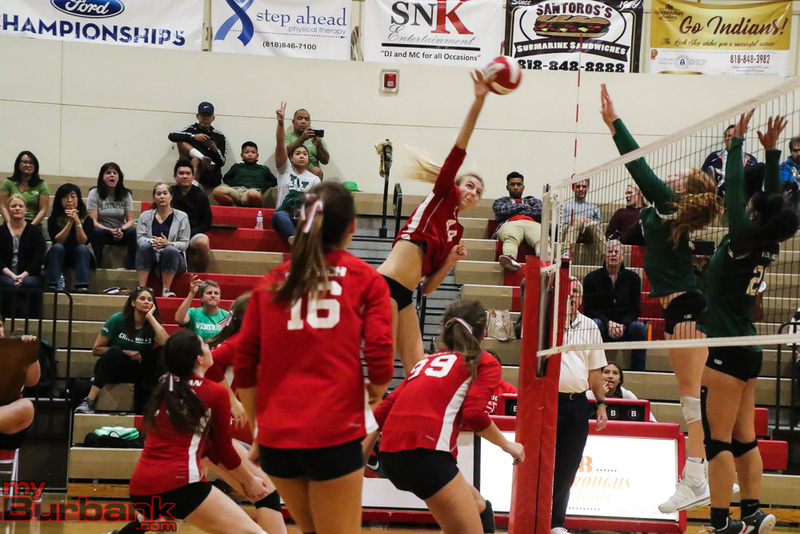 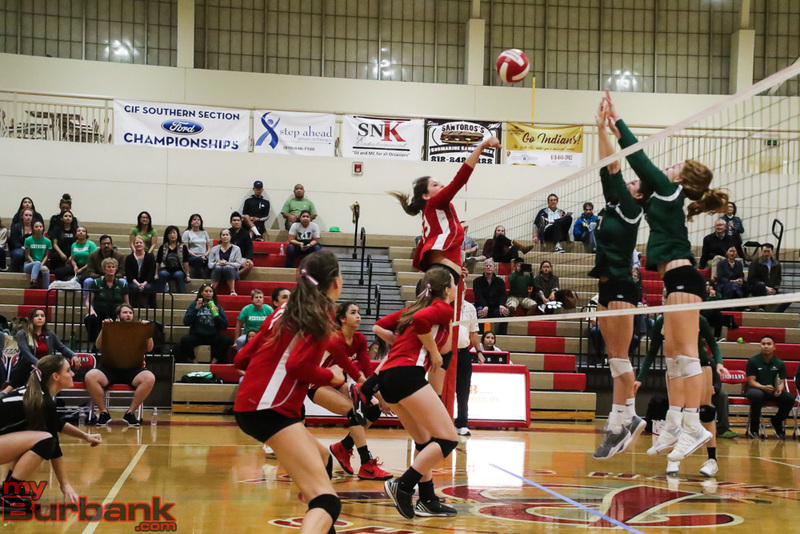 An early deficit may have been the perfect springboard for the visiting Burroughs High girls’ volleyball team on Tuesday. 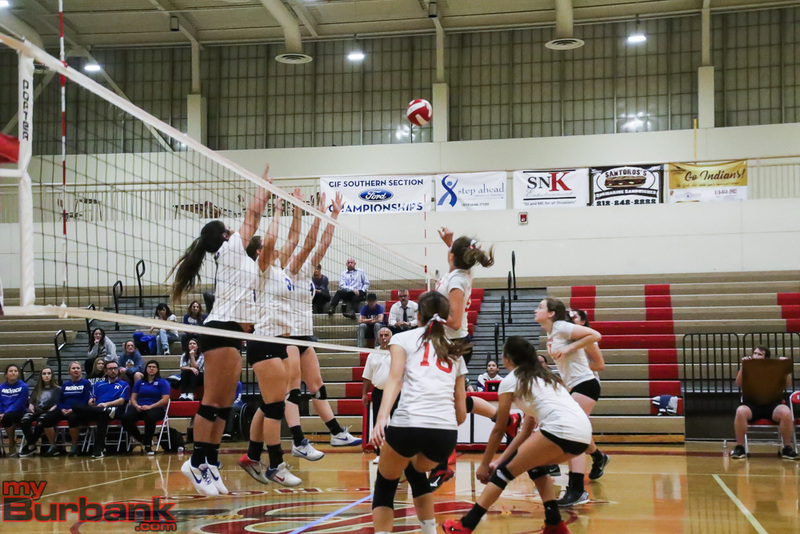 After losing the opening game, the Indians roared back and took the next three for a 23-25, 25-20, 25-14, 25-21 Pacific League decision over CrescentaValley. 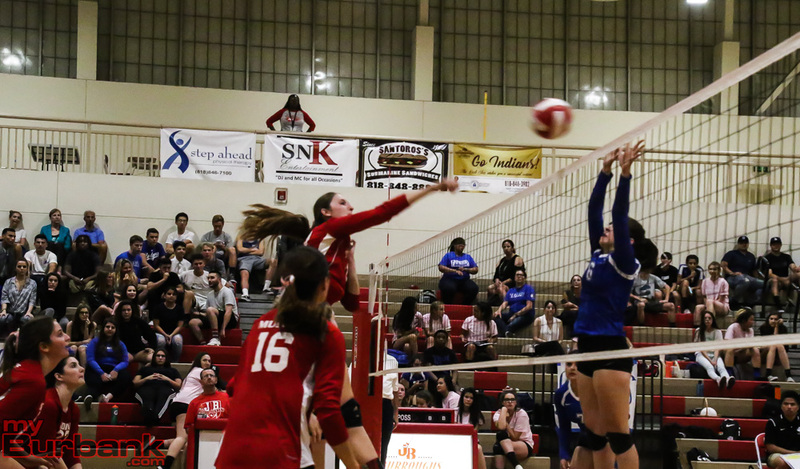 With the match level at one game apiece, Burroughs forged ahead 10-6 in the third game behind a kill from junior opposite hitter Juliana Van Loo, who finished with 10 kills. 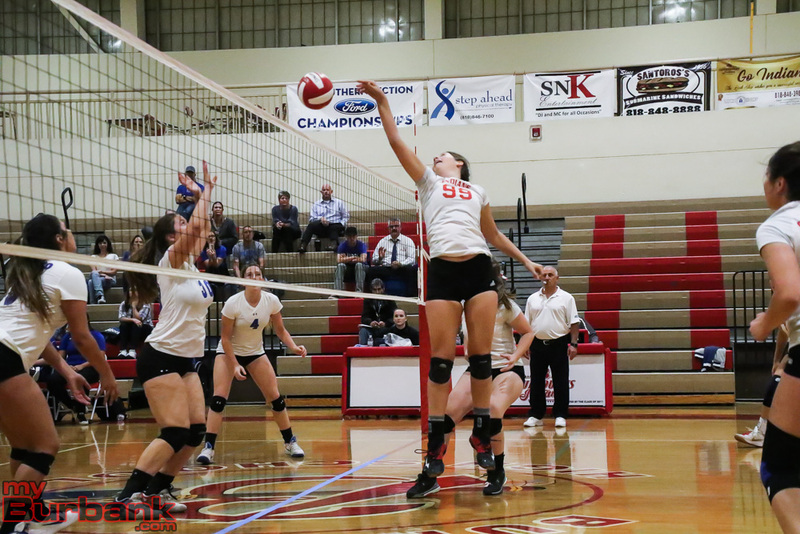 The Indians moved ahead 12-9 on a smash from sophomore outside hitter Lydia Grote. 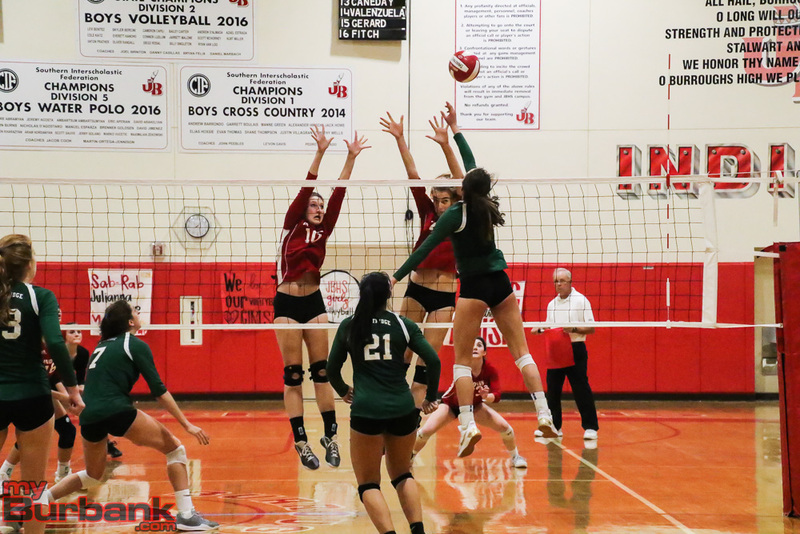 Grote’s dagger made it 17-11 and when senior outside hitter Marin Grote, who will play volleyball for the University of Washington, delivered a bullet that made it 19-11, the Falcons called time out. 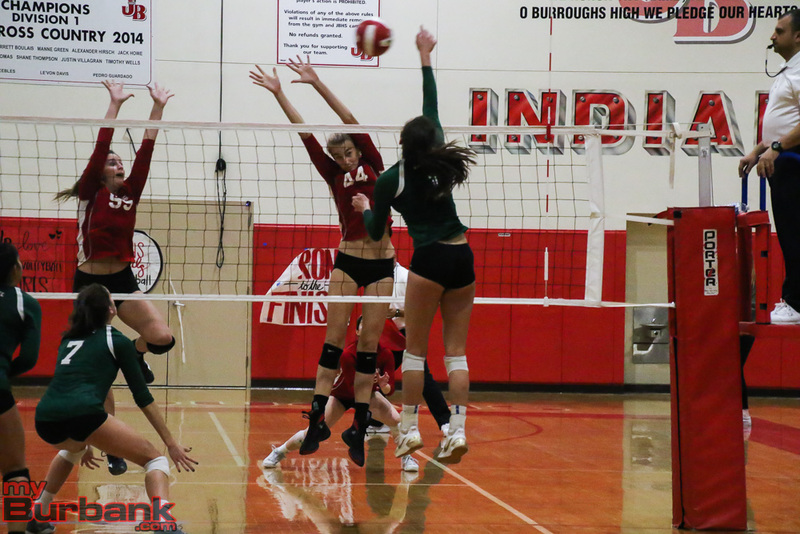 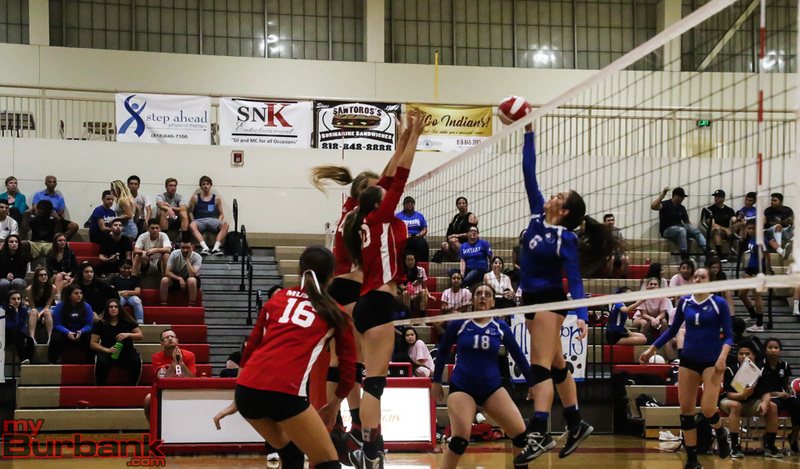 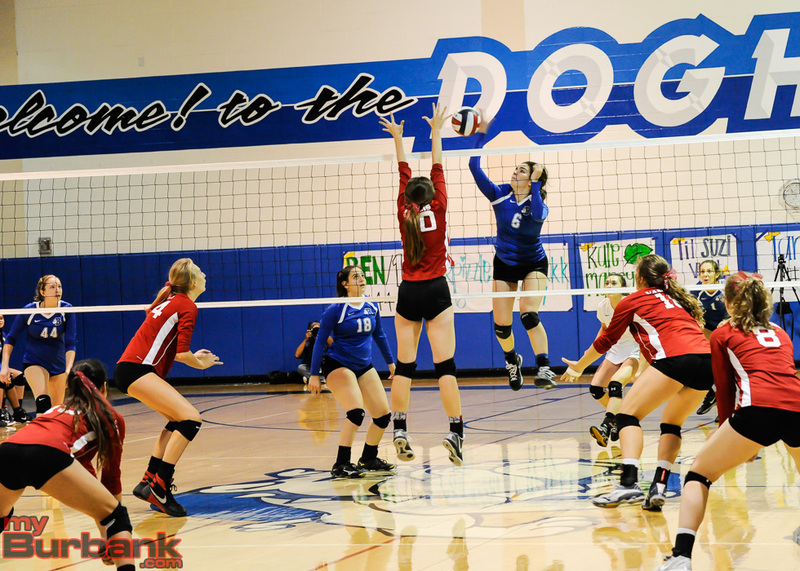 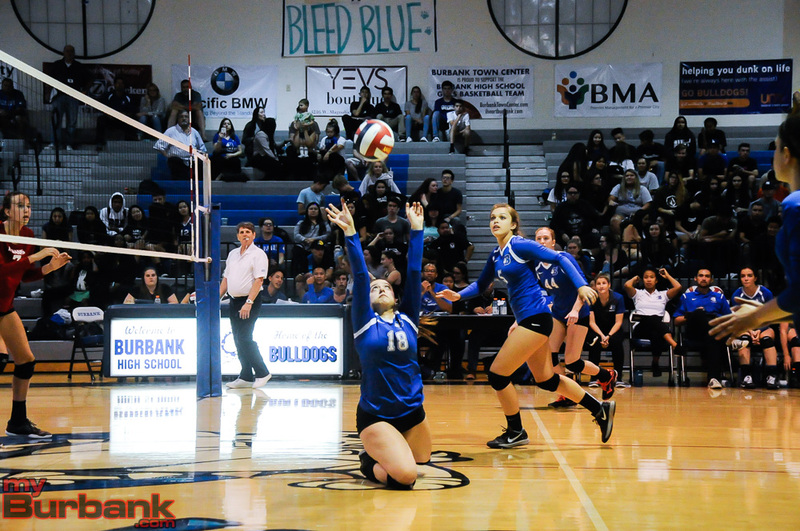 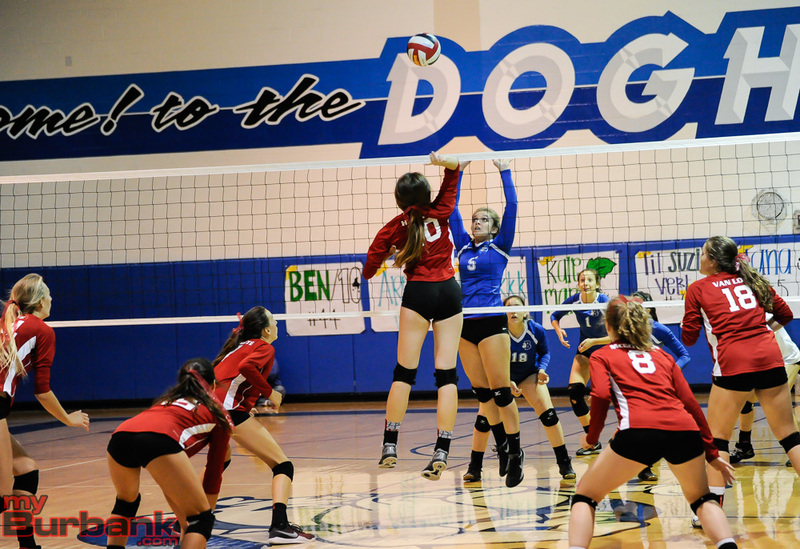 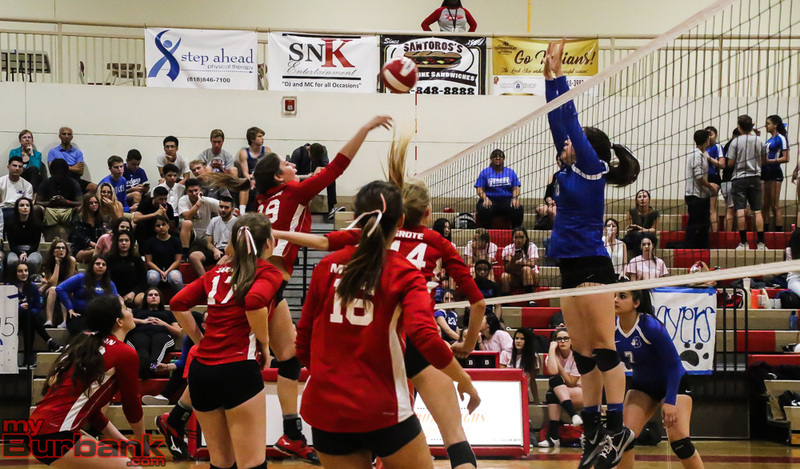 Burroughs led 21-12 on senior middle blocker Ricki Patenaude’s kill and it became 23-12 on Patenaude’s service ace. 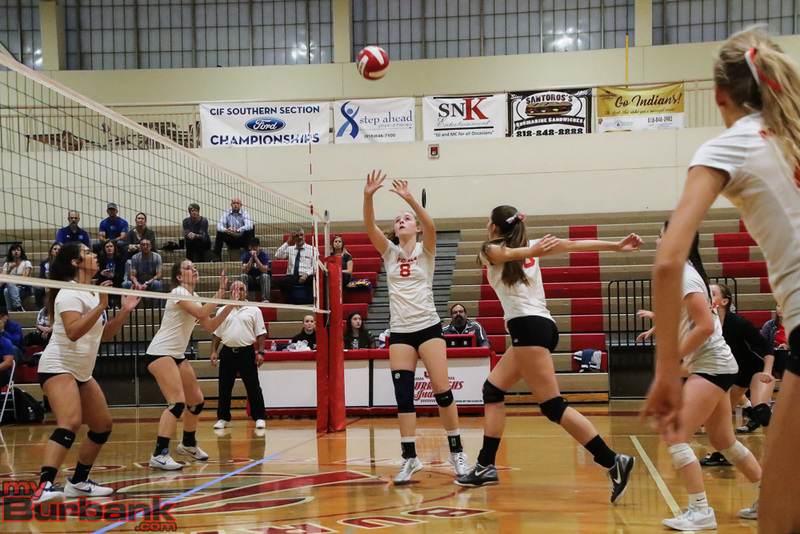 Patenaude had seven kills for the match. 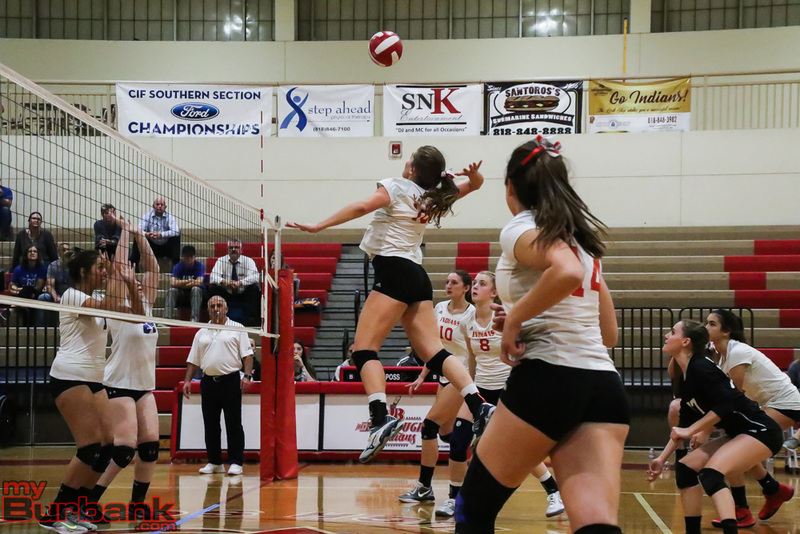 Marin Grote’s smash gave the Indians a 24-14 edge and junior setter/opposite hitter Shea McGovern’s ace the set. 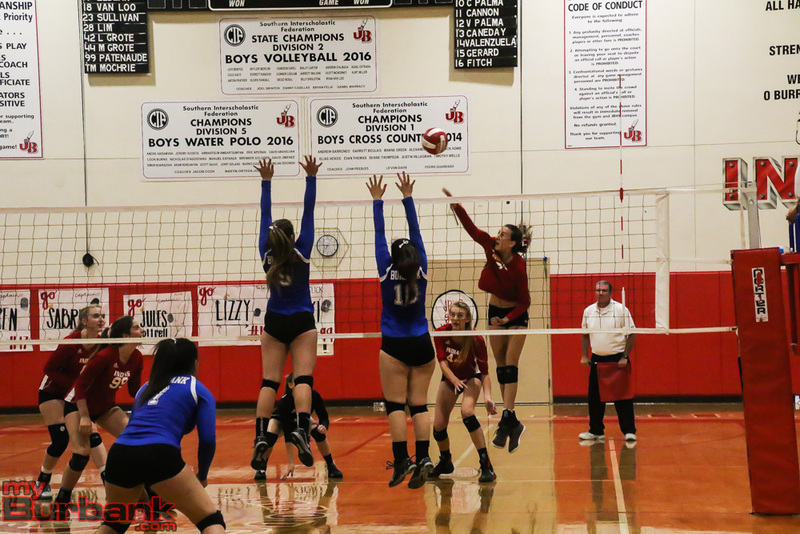 Crescenta Valley (1-6 and 0-2 in league) led 6-0 in the fourth set behind junior setter/outside hitter Madison Blohm’s service ace. 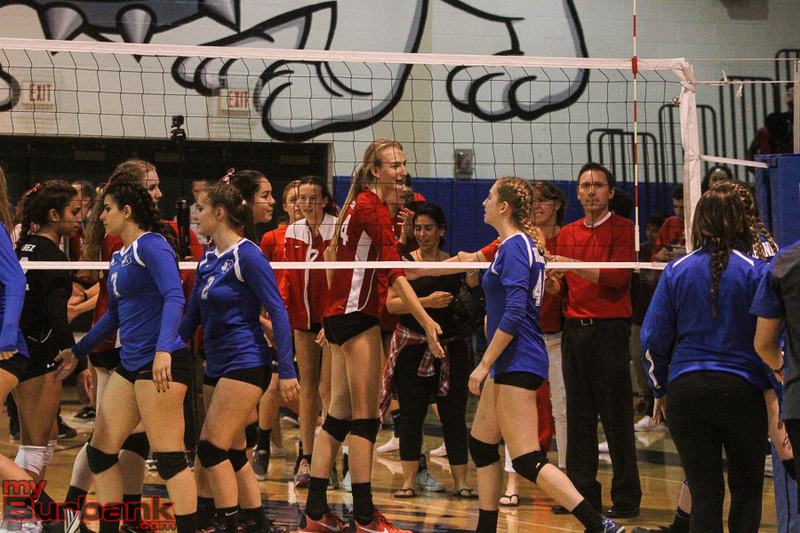 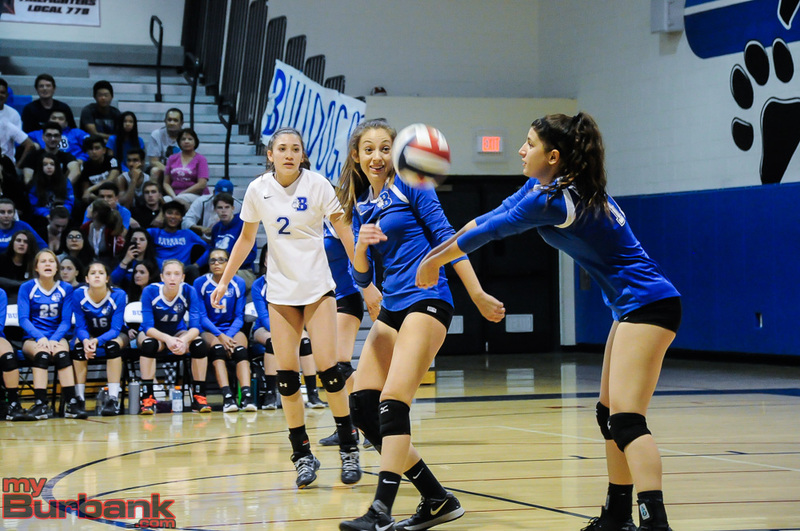 But the Indians came within 8-4 on Marin Grote’s kill. 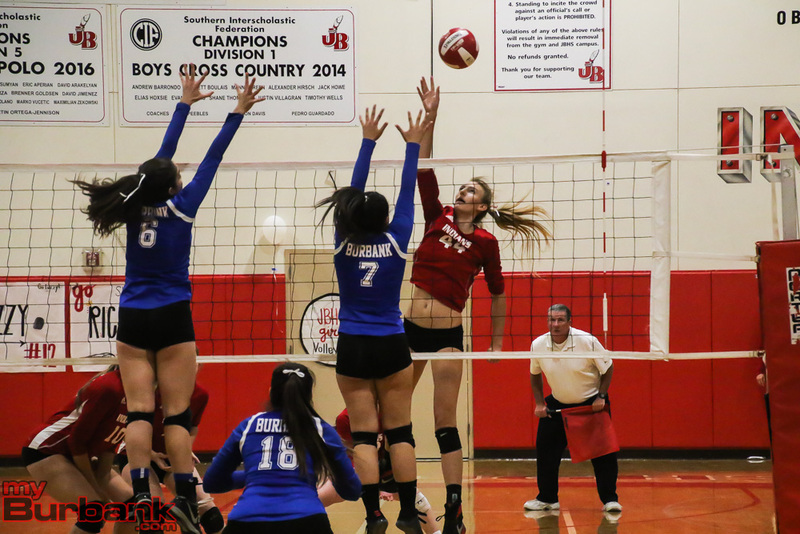 Burroughs then outscored the Falcons 10-5 and led 14-13 on senior defensive specialist/libero Lizzy Jessen’s service winner. 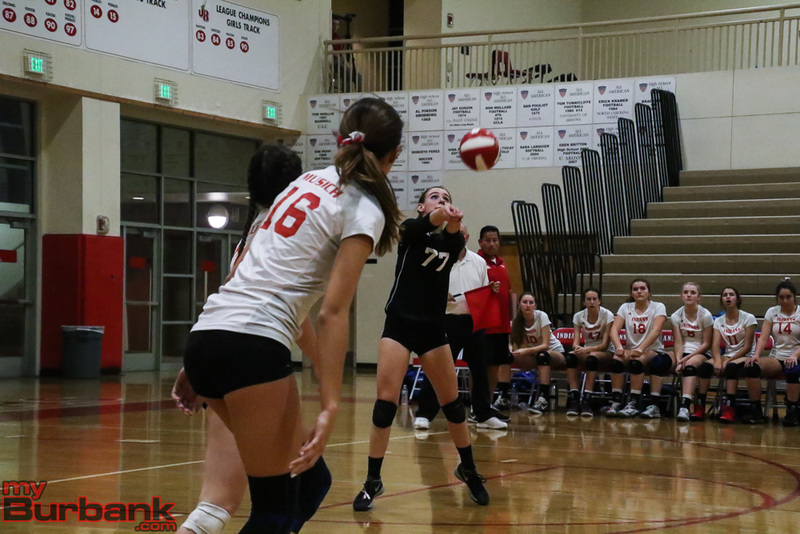 The Falcons evened it at 16-16 on junior outside/opposite hitter Maya Lightfoot’s kill which caused Burroughs to ask for time out. 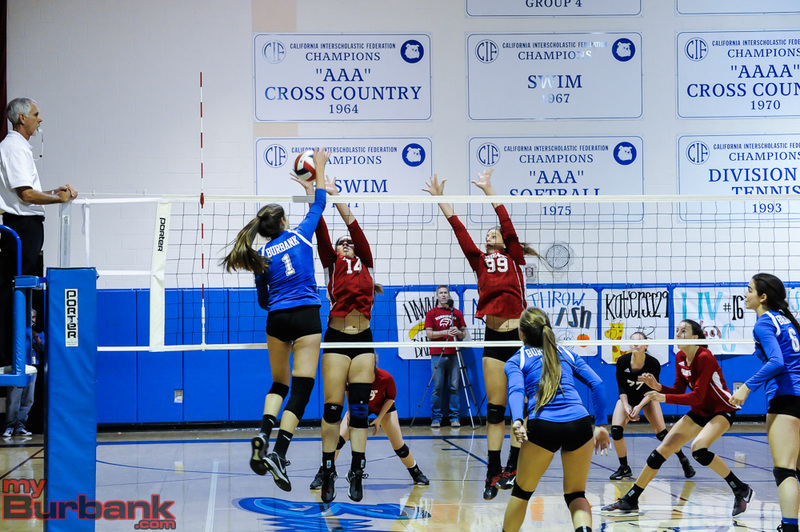 Crescenta Valley led 17-16 on senior outside/opposite hitter Marley Gang’s ace, but Marin Grote’s hit evened it at 17-17. 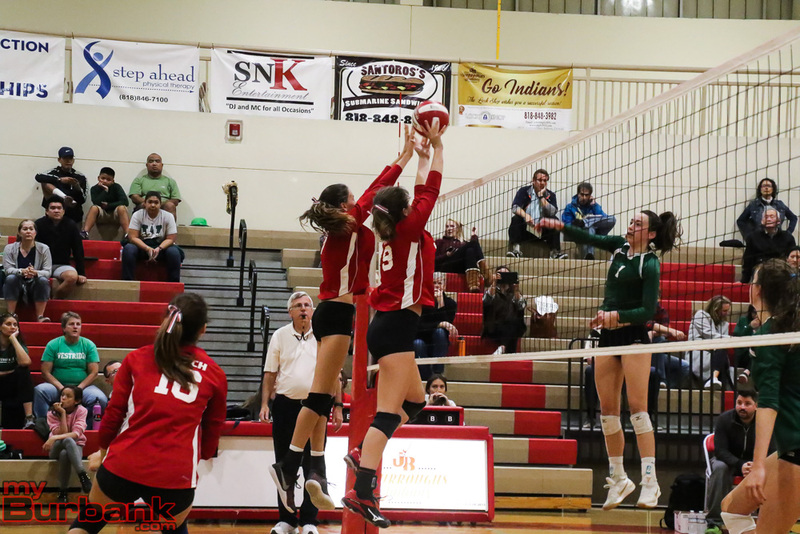 From this point, the Indians took control and pushed ahead 20-18 on Van Loo’s kill and 23-20 on Lydia Grote’s kill as the Falcons called time out. 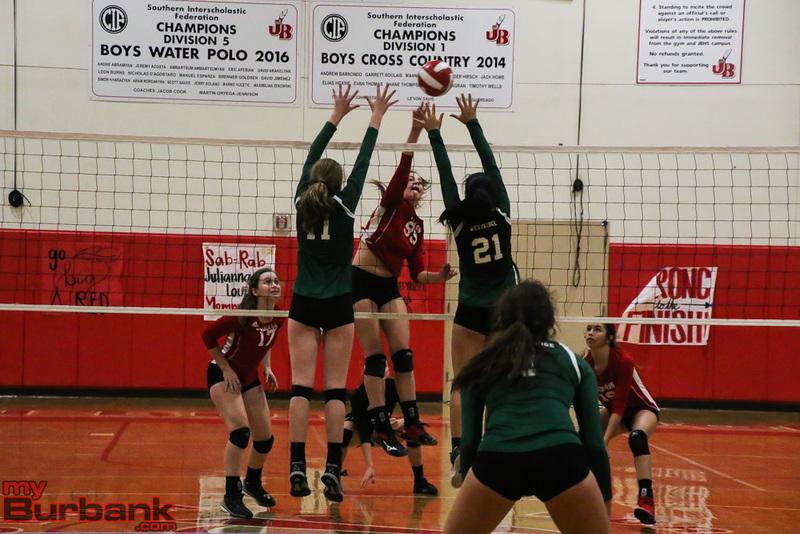 Burroughs (6-1 and 2-0 in league) claimed two of the next three points including Patenaude’s tapper for the game and match. 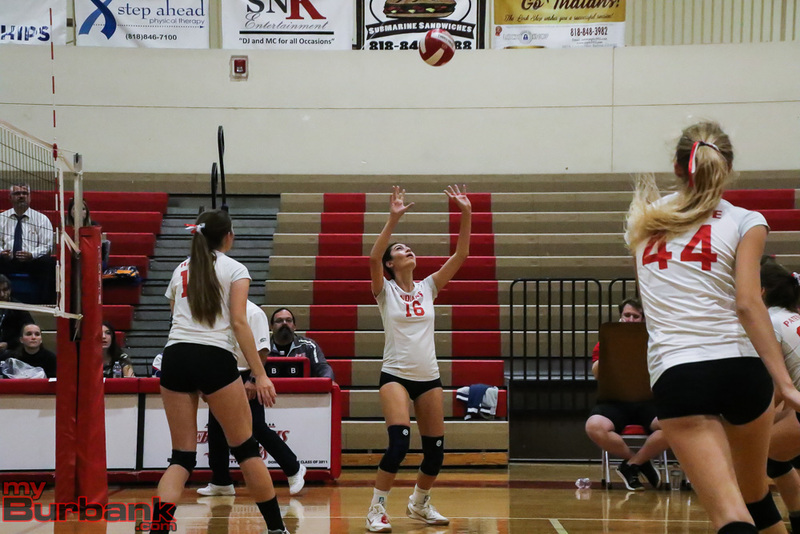 The second game was even at 3-3 on Marin Grote’s kill, but the Indians darted in front 7-6 and 8-6 on consecutive service aces from McGovern. 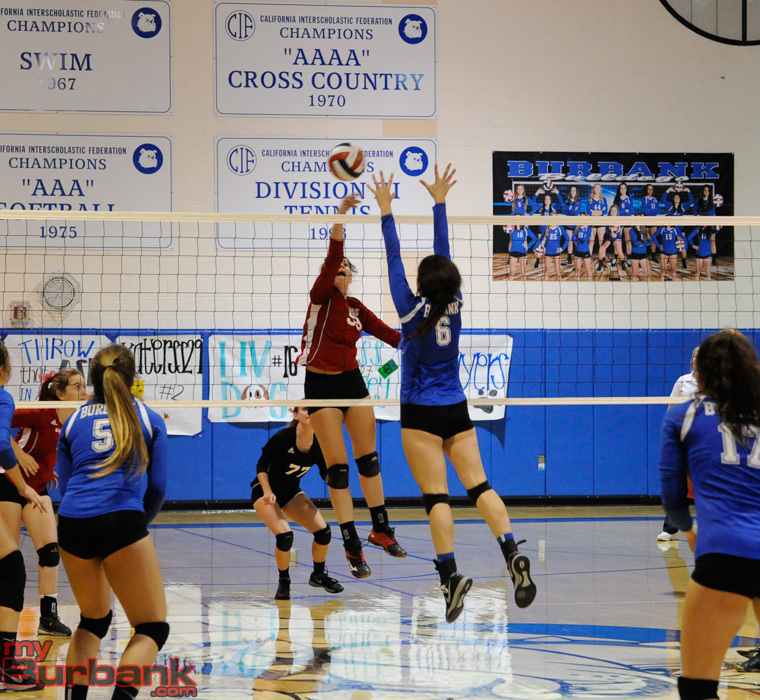 Crescenta Valley tied it at 10-10 on junior opposite hitter/middle blocker Grace Holland’s kill. 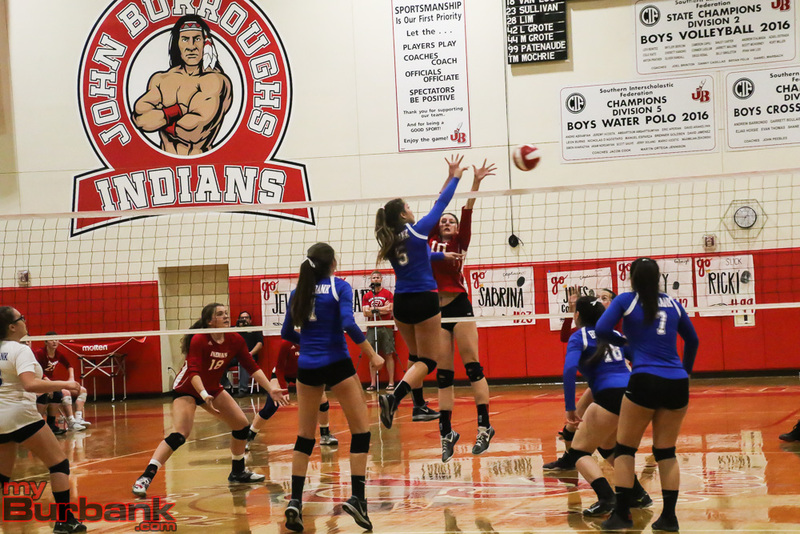 Van Loo’s smash tied it at 11-11, but the Indians would pull ahead 15-13 on Lydia Grote’s tapper. 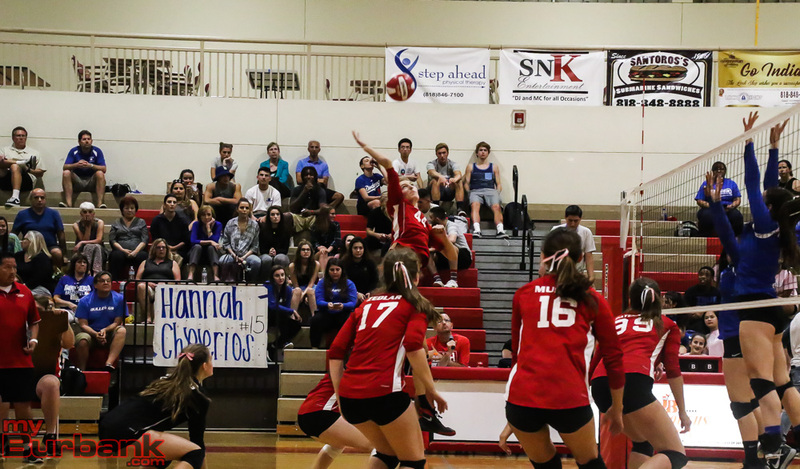 Marin Grote’s blast made it 18-15 and her service winner pushed the advantage to 21-19. 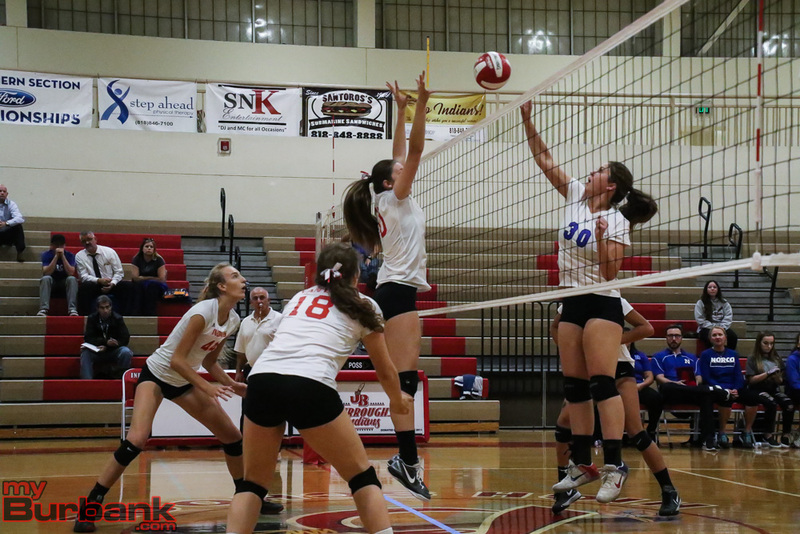 Van Loo’s kill saw the Indians bolt ahead 22-20, while senior opposite hitter Jewel Musich’s stuff made it 23-20. 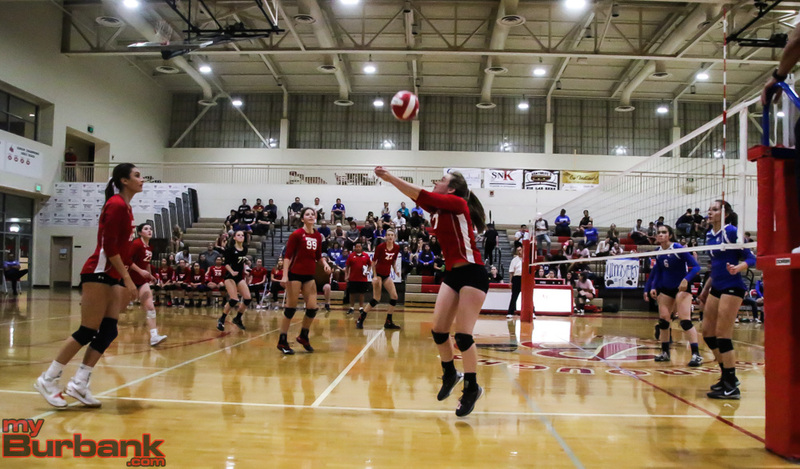 Van Loo added another kill that made it 24-20 and Marin Grote’s service ace saw the Indians even the match at a game apiece. 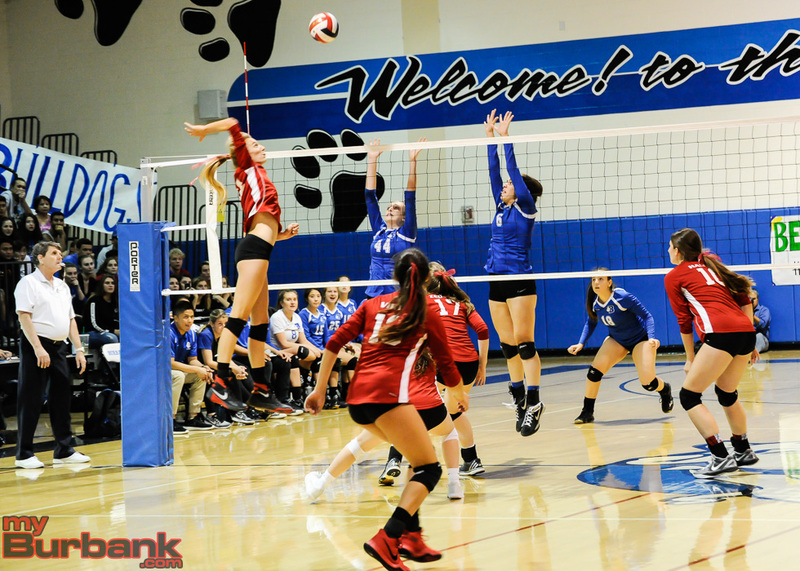 Crescenta Valley took a 3-0 lead in the first game on Gang’s kill and 7-1 when Marin Grote’s smash missed. 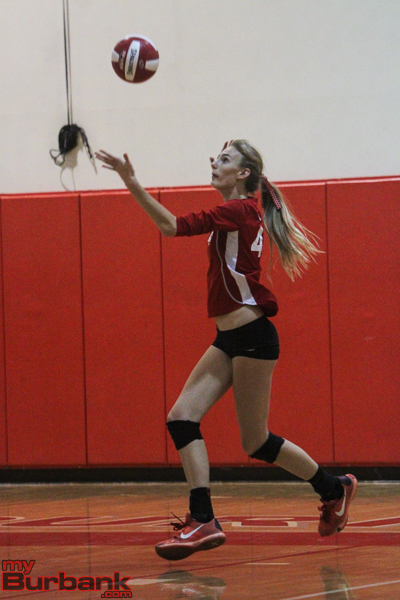 The Indians came within 8-5 on Marin Grote’s kill, but the Falcons extended their lead to 12-10 on Holland’s ace. 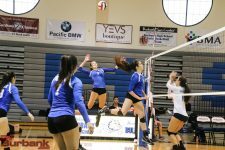 Crescenta Valley pulled in front 17-13 on Blohm’s service ace and 20-17 on Gang’s ace. 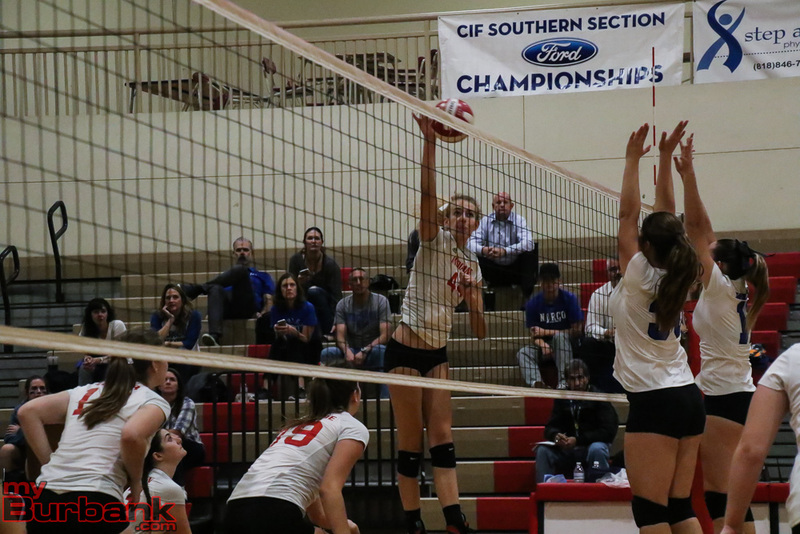 Burroughs tied it at 22-22 on Marin Grote’s kill and it was even at 23-23 when Marin Grote’s serve hit the net. 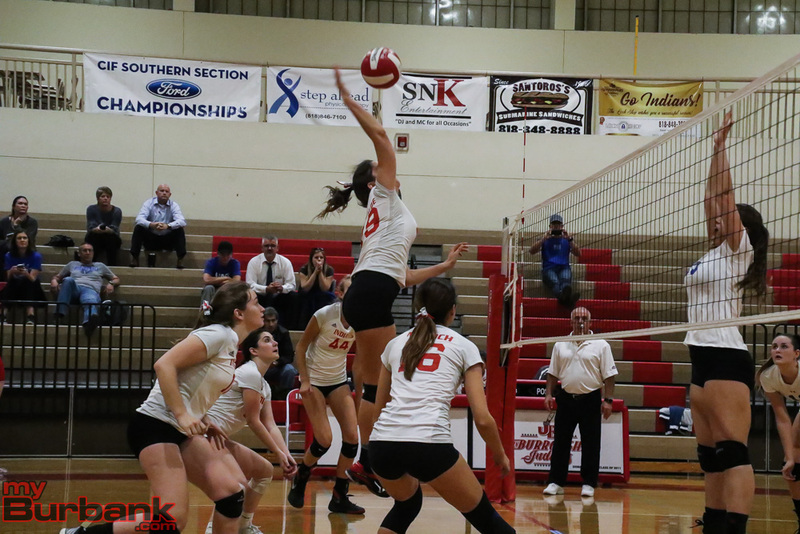 Holland’s service ace made it 24-23 and was followed by Van Loo’s spike that missed as the Falcons took the opening set. 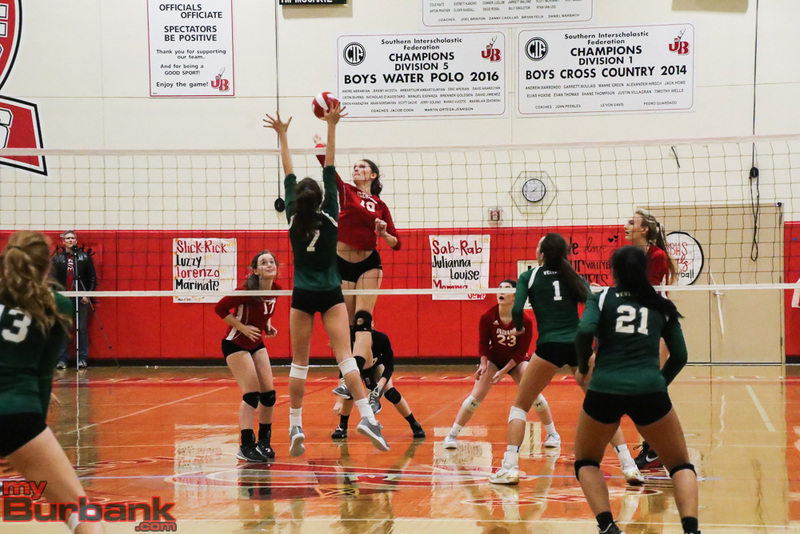 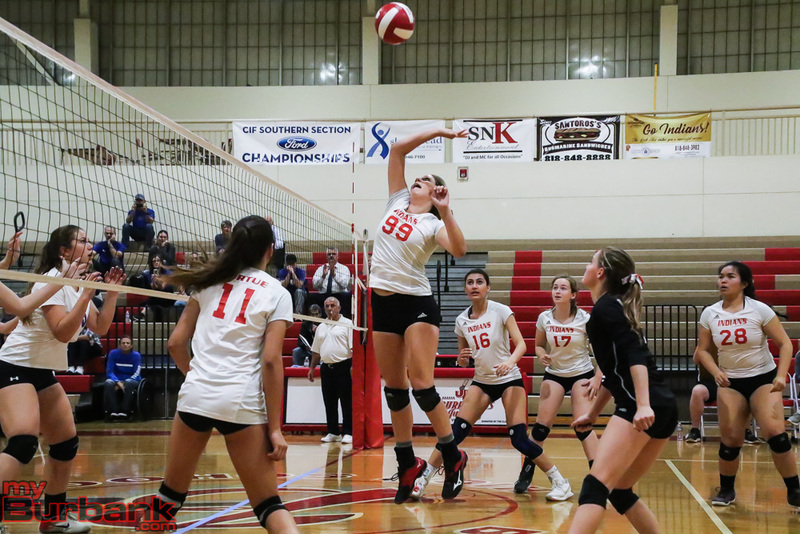 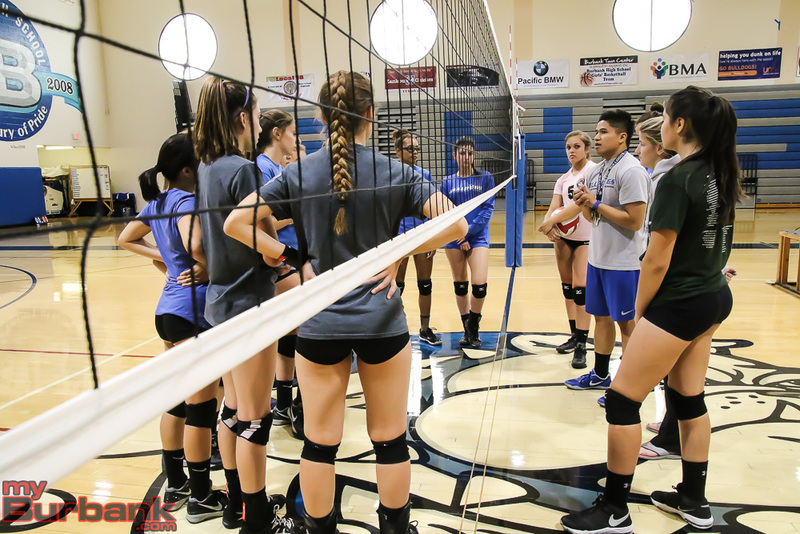 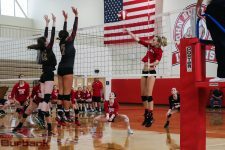 This entry was posted in Girls Volleyball, Sports and tagged Burroughs High, Girls Volleyball, Jewel Musich, Juliana Van Loo, Lizzy Jessen, Lydia Grote, Marin Grote, Pacific League, Ricki Patenaude, Shea McGovern on September 13, 2017 by Rick Assad.